Sustainability and coal mining don't typically go hand in hand, but a project at the University of Kentucky is offering an opportunity to bring the two together. At least that is the hope of Jack Groppo and Jim Hower, research professors at the UK Center for Applied Energy Research (CAER), where they are locating and evaluating rare earth elements (REEs) found in coal and processing coal byproducts. REEs are a series of 17 elements within the Earth's crust. Due to their unique chemical properties, REEs are essential components of technologies spanning a range of applications, including smartphones, batteries and defense technologies. They are also used in renewable energy technologies, like wind turbines and solar panels. "Never in a million years saw that coming, but it's true. It is absolutely true," said Groppo, who is also a professor in the UK Department of Mining Engineering. "That's where the rare earth elements are (in coal) and they need those for renewable technologies. So once again, we see that the coal is the tangible compatible partner, not only in the load distribution for generation as a fuel resource, but actually providing the raw materials to generate the technology in the first place." 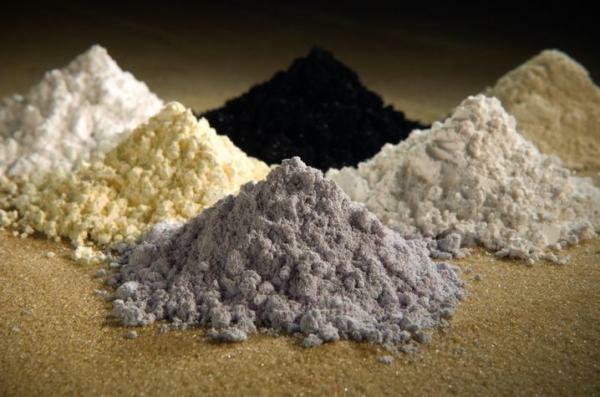 Rare earth elements (REEs) are a series of 17 elements within the Earth's crust. REEs are essential components of technologies spanning a range of applications, including smartphones, batteries, defense and even renewable energy. With funding from the U.S. Department of Energy, U.S. Department of Defense and National Science Foundation, the team at CAER is working with university and industry partners to retrieve these valuable chemicals from fly ash, the residual material left over after burning coal. CAER has been conducting research with fly ash since the mid-1990s, repurposing it into construction products like fast-setting concrete. "If you can go after the REEs as a byproduct of going after something else, that makes sense. And, that's sustainable," Groppo said. "You extract the REEs from fly ash, give the fly ash back to us, and we will use it to make concrete. So there's no waste from this process if we do this right." China currently produces the majority of the world's REE supply, and scientists and policymakers agree the U.S. needs to find a domestic source. According to Hower, the premier domestic source is the Fire Clay coal seam in Eastern Kentucky. This fact gives Kentucky and UK even more of an opportunity to lead this endeavor. "It's an opportunity for growth. It's a necessity for security," said Hower, who is also a professor in the UK Department of Earth and Environmental Sciences and is credited with the first publication that identified REEs in domestic coal. "If you're going to have something that’s going to be very vital to all sort of industries, not just the consumer-based electronics industries, but the defense-based industries, it's important to have some control over the means of production." Learn more about UK's work with REEs at http://uknow.uky.edu/research/pilot-scale-plant-extract-rare-earth-elements-heart-coal-country.